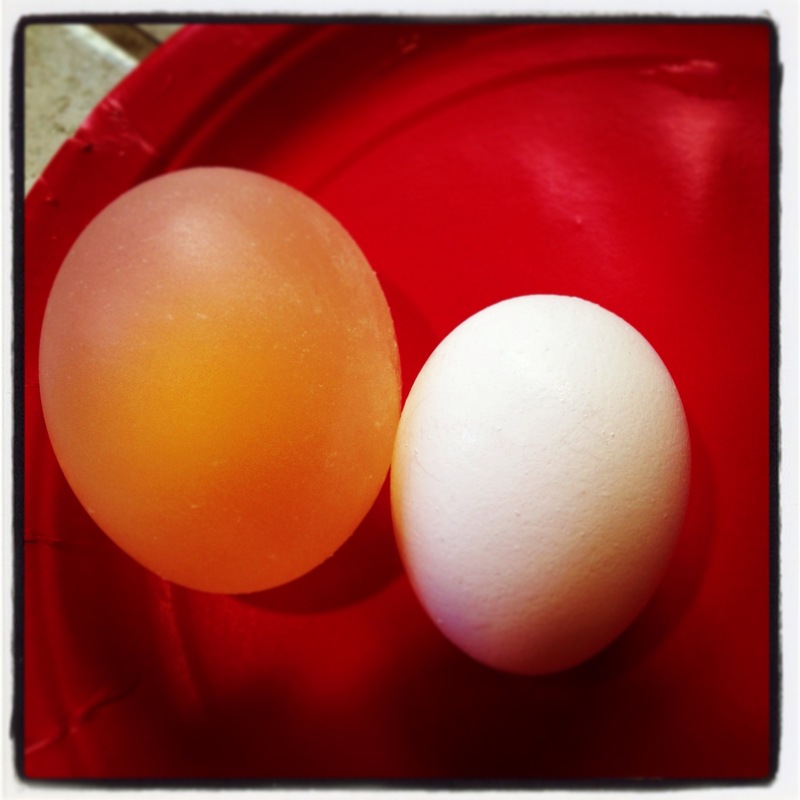 So, technically it is not an art project but it is a fun science experiment… how does an egg look like without the shell? The raw egg I mean… like a gooey bouncy… try it for yourself. You need couple of raw eggs (they can break easily once you start exploring them, so making more is a good idea). You put them in a jar with a lid and pour vinegar over them. The just let them stand 2-3 days… drain the vinegar, Raise them with cold water and let the exploration begin. This entry was posted in Art Projects and tagged art, ArTree, easter, education, egg, experiment, kids, science, vinegar. Bookmark the permalink.